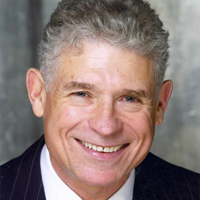 BCA is excited to announce our March 2012 Breakfast speaker, Mr. John Riggins, NFL Hall of Fame Running Back. Famous for getting the job done on the playing field, the Washington Redskins legend will share his thoughts and experiences on how small successes result in big wins and high levels of satisfaction for you and your team. John will demonstrate to our group why just Doing Your Job is so important. He has observed that the most successful football players have a high threshold for pain and that, similarly, in the business world, the most successful seem to have a high tolerance for frustration. In today’s marketplace, nothing is guaranteed, but success is still within reach if you stay focused on just doing your job. This entry was posted on February 22, 2012, 11:53 am and is filed under BCA News. You can follow any responses to this entry through RSS 2.0. You can skip to the end and leave a response. Pinging is currently not allowed.